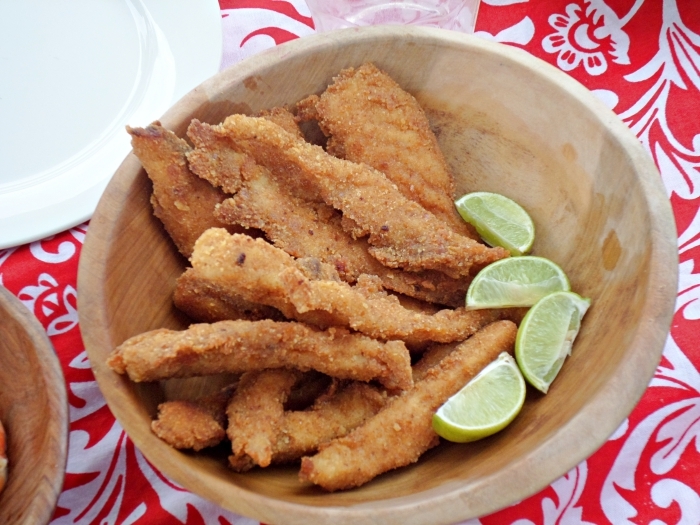 Zanzibar Yacht Charter Catering | Freshly prepared Seafood prepared onboard. 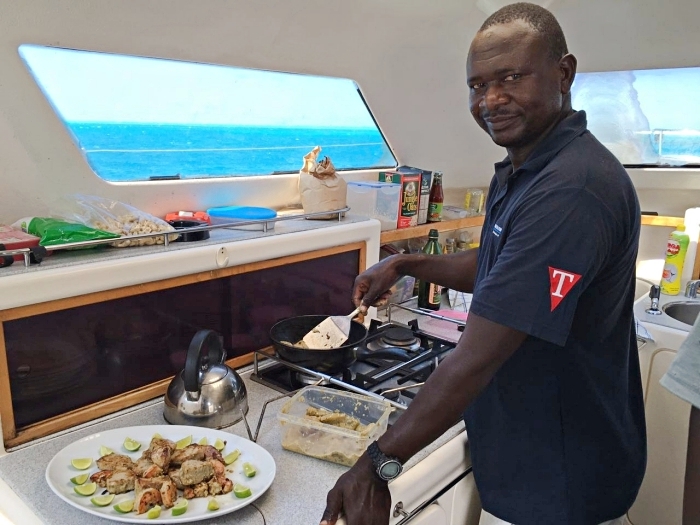 Chef Mwalimu preparing some fresh fish in the galley! 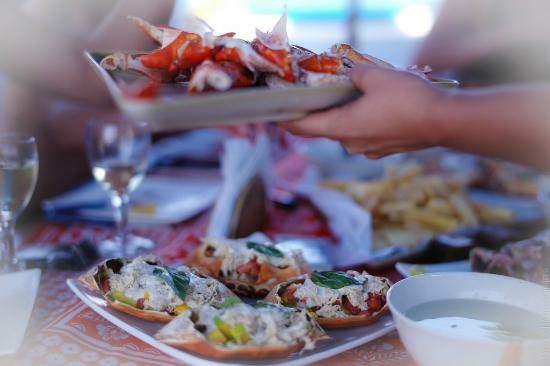 Our Zanzibar Yacht Charter Catering always includes the freshest Seafood Zanzibar has to offer. More than likely you would have caught it yourself whilst onboard with us! Of course should you have any specific requests regarding your dietary requirements, please contact us and our catering staff will do their utmost to cater for you and your party. Enjoy freshly prepared seafood dishes! Food – Fresh fruit, breakfast cereals (morning charters only), crisps, nuts and freshly prepared tapas style snacks. 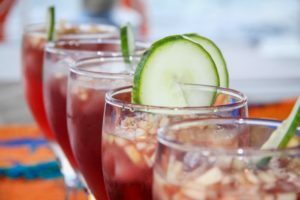 Drinks – Tea, coffee, mineral water, fruit juice, smoothies and a selection of ice cold soda’s, beer & wine. 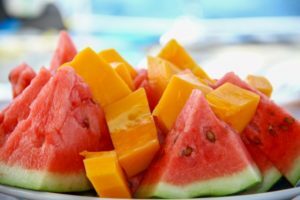 Food – Fresh fruit, crisps, nuts, tapas style snacks with freshly made hummus and a freshly prepared Seafood Lunch with Zanzibar rice and fresh salad. Furthermore we will prepare you a fantastic Sashimi too should you catch a fresh fish along the way! Drinks – Tea, coffee, mineral water, fresh fruit juice and a selection of ice cold soda’s, beer & wine. 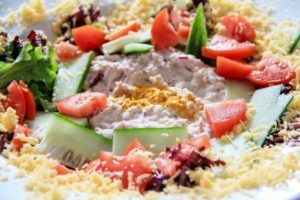 Food – Fresh fruit, crisps, nuts, tapas style snacks with freshly made hummus and seafood bitings. 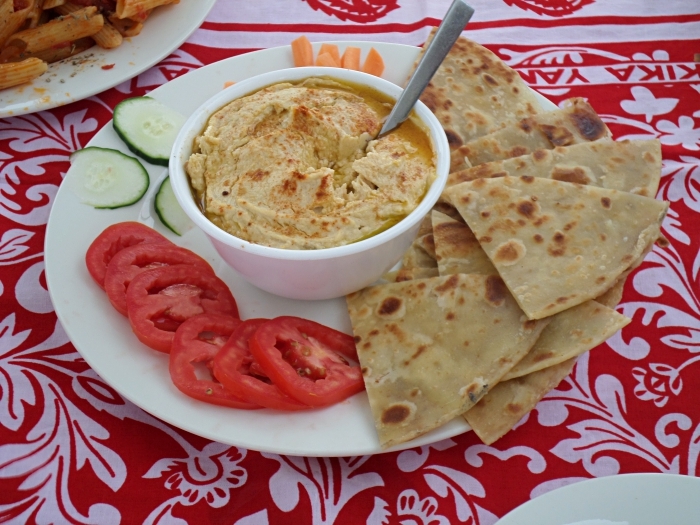 Freshly made Hummus with Zanzibari Chapati’s! Food – Fresh Tapas style seafood snacks with freshly made hummus and a freshly prepared Seafood Dinner with Zanzibar rice and fresh salad. Contact us should you wish us to prepare an alternative Dinner Menu for you and your party. 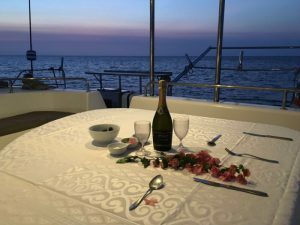 Contact us with your preferred dietary requirements and our catering staff will do their utmost to ensure that all your meals… breakfast, lunch and dinners onboard your Live Aboard Yacht Charter are to your satisfaction. BOOK YOUR YACHT CHARTER NOW!